The Hawaii Section Younger Member Forum recently took a tour of Kunia Country Farms, an Envision Gold award winner. 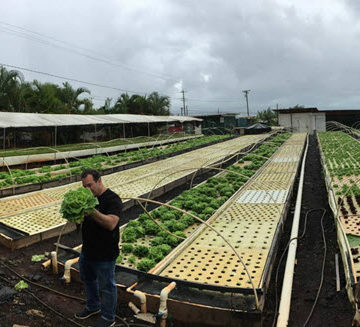 Kunia Country Farms is one of Hawaii’s largest commercial aquaponics farms and producers of leafy greens. The project sustainably grows local produce in a manner that minimizes wastes, achieves economic sustainability, and helps reduce Hawaii’s food dependence on imports. 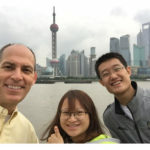 Check out their Facebook page, including a gallery of the trip. 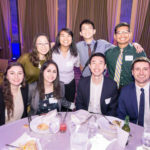 The University of California, Berkeley Student Chapter held a gingerbread social before their holiday break and tested their creations on a shake table. Watch a video. 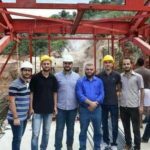 The Brigham Young University–Idaho Student Chapter began work on its latest Concrete Canoe in December. The team cut Styrofoam for the mold and began the pouring process. You can follow along step-by-step with the group online – including photos and videos – at the Chapter’s Facebook page. 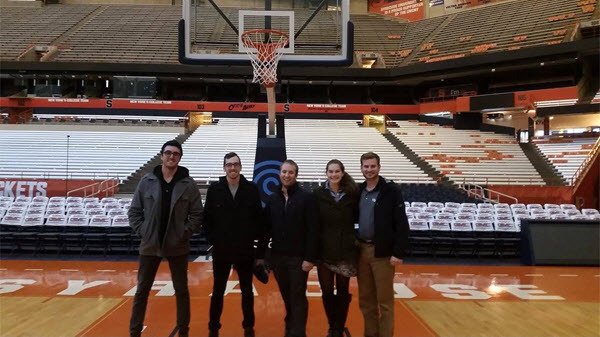 Members of the Syracuse Section got a behind-the-scenes tour of the Carrier Dome, the 49,250-seat domed sports stadium on the campus of Syracuse University. The members explored the locker rooms and infrastructure of the building and had the opportunity to walk on and around the court. Built in 1980, the Carrier Dome remains the largest enclosed stadium in the Northeast. See more photos. 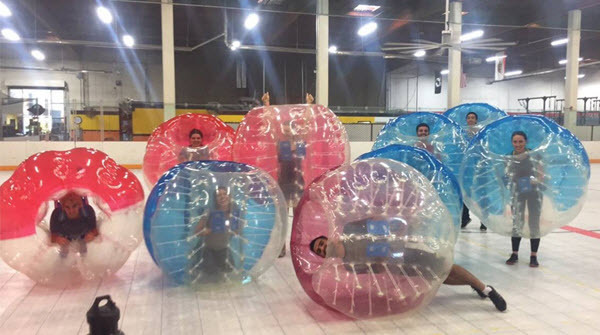 Members of the University of California, Davis Student Chapter played bubble soccer at a social gathering and did more than just bounce ideas off each other – they got to know each other better. Keep up with the Student Chapter on Facebook. 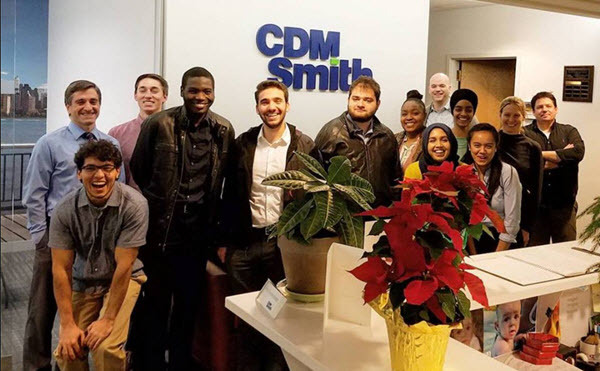 CDM Smith, a consulting, engineering, and construction firm, hosted members of Rutgers University’s Student Chapter for another successful “Shadow Day.” Student guests learned about company culture, the office environment, and the wide range of opportunities available. 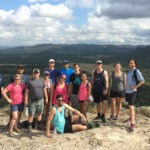 Students also had a chance to visit design, consulting, modeling, and GIS departments and met staff ranging in experience from two months to more than 30 years. 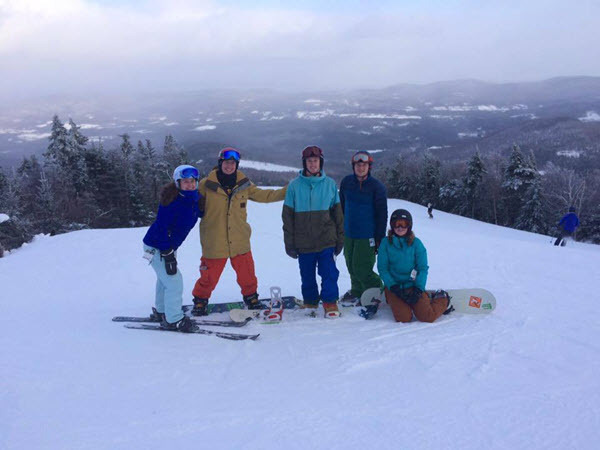 The University of Vermont Student Chapter recently enjoyed a day of skiing and networking with local engineering professionals at Sugarbush Resort in Warren, VT.
Keep up with the Chapter on Facebook. The Metropolitan Section recently hosted its 42nd Martin S. Kapp Lecture, given by Dr. Kord Wissman, Ph.D., P.E., D.GE, a UC Berkeley graduate and president and chief engineer of Geopier Foundations, and David Sauls, P.E., MIT graduate and chairman of the board at GeoEngineers. Their lecture, “The Engineers and Contractors Response to Site Risk and Their Contribution to Project Success,” explored the element of risk in construction project delivery from the points of view of a specialty contractor (Wissmann) and geotechnical engineer (Sauls), using three major construction projects as examples. More than 100 engineers and surveyors learned about Tampa’s Downtown Channelside Redevelopment during the recent West Coast Branch Luncheon. Speakers Hamid Sahebkar, of Stantec, and Court Corbino, of Strategic Property Partners, presented the proposed major civil infrastructure and roadway improvements intended to revitalize the area and create an urban, mixed-use waterfront district. 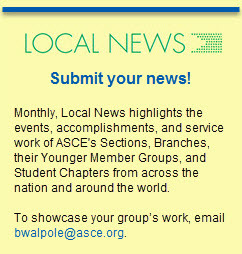 Keep up with Florida Section news and events. The North Dakota Section took a private tour of the Fargo Brewing Company that included samplings of the offerings. The large warehouse stores their unique brews in kegs, bottles, and cans, among them “Stone’s Throw” and “Iron Horse.” The night was rounded out with the Section participating in a group trivia contest. View a slideshow from the trip.